﻿ There’s a dangerously thin line between simplicity and having nothing of import to say, something that a handful of bands can’t seem to grasp just yet. It’s a pretty simple lesson too, but the failure to comprehend leads to albums that might be catchy and pleasing on a purely surface level, but bottom out as soon as any deeper content is factored into the equation. The one piece of solace surrounding this is that the bands it applies to are rarely more than one of numerous faceless throwback acts or indie chancers that struggle to get further beyond that initial hit. And yet, Fangclub show themselves to be the exception on their self-titled debut album. That wasn’t the expected outcome, either; their earlier EPs mightn’t have been exceptional, but as short bursts of exposure from an upstart grunge band, they weren’t exactly bad either. But even with the best songs on those EPs making a return here, Fangclub just can’t muster up much with staying power. It’s across the board too, with almost every element being either half-baked or painfully underwhelming. For starters, the lack of variation or modulation within the already dull instrumentation means that everything runs together even more; the moments where the pace is picked up come with tracks like Bullet Head and Lightning throwing a bit more of a canter into the mix, but beyond that, Fangclub rely almost solely on fat, brown grunge riffs made even more unattractive by the lack of anything interesting done with them. Common Ground gets close to some kind of solo, but even then it’s more of an extra layer to stop the hammered-out guitars with all the subtlety of a brick to the face feeling totally inert. Then again, Loner doesn’t even have that luxury. Perhaps Fangclub’s biggest stumbling block though, comes in their inability to make their songs stand out in any lasting capacity. As much as their full-throttle approach to playing might stick for a short burst, it doesn’t last in the long term, and pretty much the whole album winds up with little else memorable than the fact that it is a grunge album. It’s the same deal with the lyrics and delivery, and even with Steven King sticking in a restrained modern grunge whisper most of the time isn’t the quickest way to immediacy (though his more conventional delivery has far greater success), the fact that this album feels so passive and lacking in solid content that it struggles to go anywhere. To Fangclub’s credit, they prove they’re a dab hand at choruses at the very least; chuck a dart at the tracklisting and you’re likely to hit something that would do well in big venues or festivals, by virtue of being hugely memetic and uncomplicated. What surrounds them, though, leaves no impression or moving effect, and just serves to make this album even more forgettable. In fact, strip away its less polished presentation, and what Fangclub’s debut is, is essentially a Feeder album, and a latter-day one at that, an album that feels entirely perfunctory and unable to pick up anything beyond drab mediocrity. At least Fangclub don’t feel as irrelevant as Feeder have become, even if that’s hardly the most emphatic compliment to give, but in all honesty, they don’t feel like the most emphatic band. There’s a handful of moments that could be workable here, but Fangclub just don’t know how to do that yet. 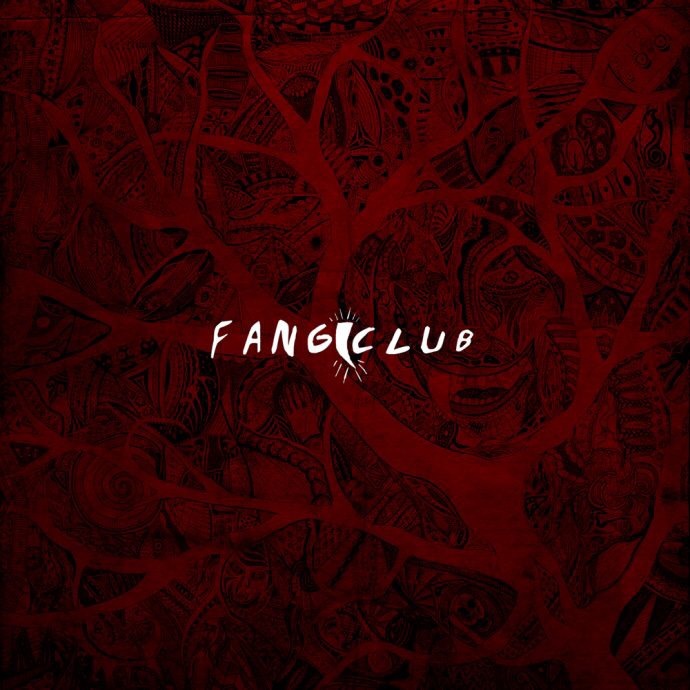 ‘Fangclub’ by Fangclub is out now on Vertigo Records.